These days the word “sustainable” is thrown around like the answer to our problems, especially regarding the environment. Be sustainable! Reduce, reuse, recycle! But, maybe that’s not enough. 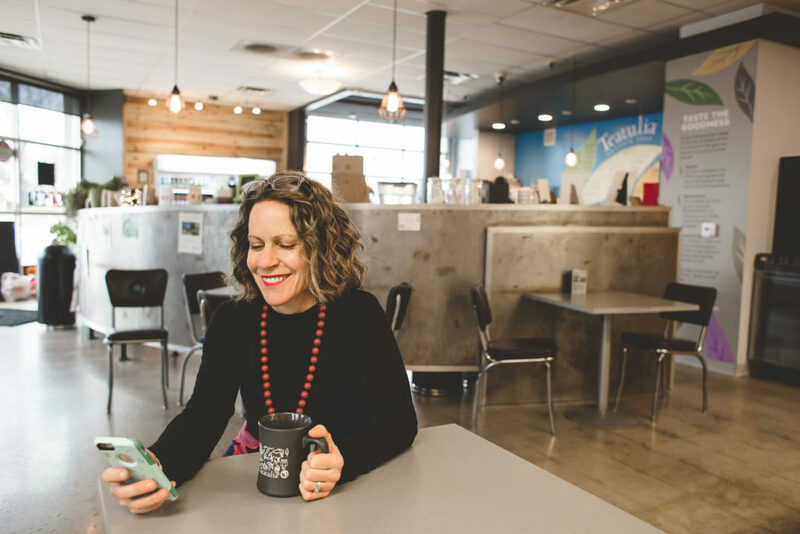 “To sustain the current course we’re on is … reckless,” said Linda Appel Lipsius, the Co-Founder & CEO of Teatulia Organic Teas in Denver, Colorado. 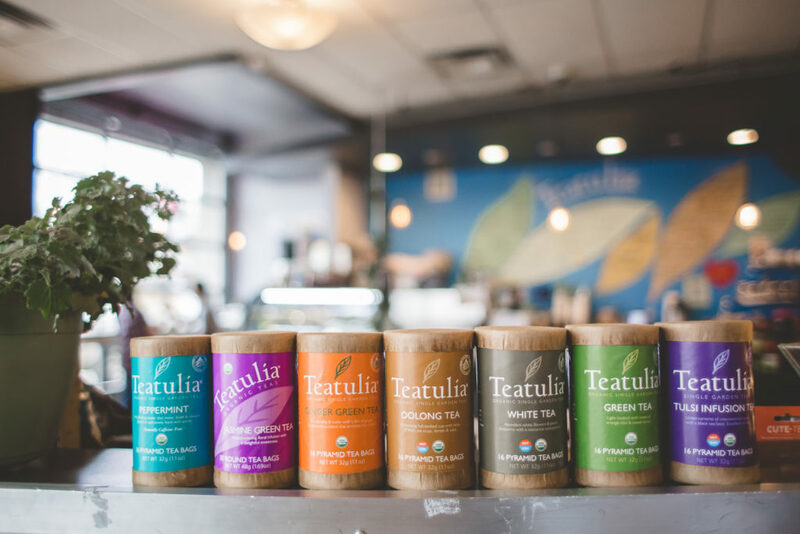 Teatulia skips the middle man and sources their tea directly from their own restorative tea garden in Northern Bangladesh. Linda believes the days of sustainability are gone. She believes we must reclaim and regenerate. Teatulia began with the mindset to do things differently as a company. 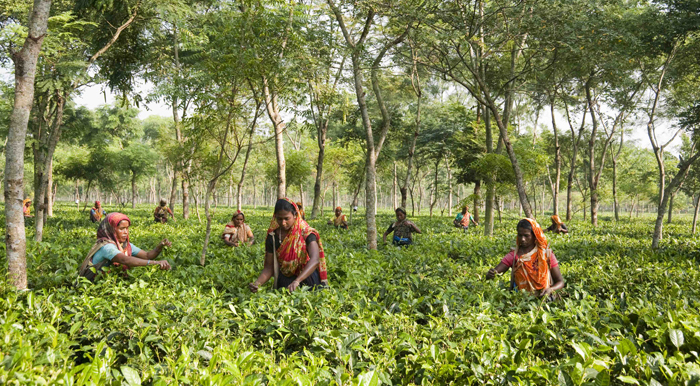 They employ the women in the community, boost their economy, and help revamp their environment- all through a 3,000-acre organic tea garden using organic farming methods. They pride themselves on fresh, clean, bold, full-bodied tea. 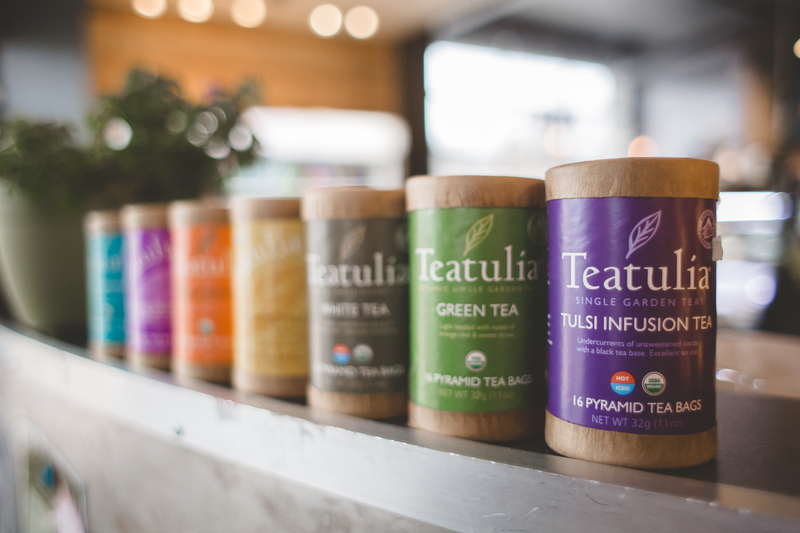 Teatulia Tea Bar wants to spread the love of tea by educating locals about all things tea at its Tea School. 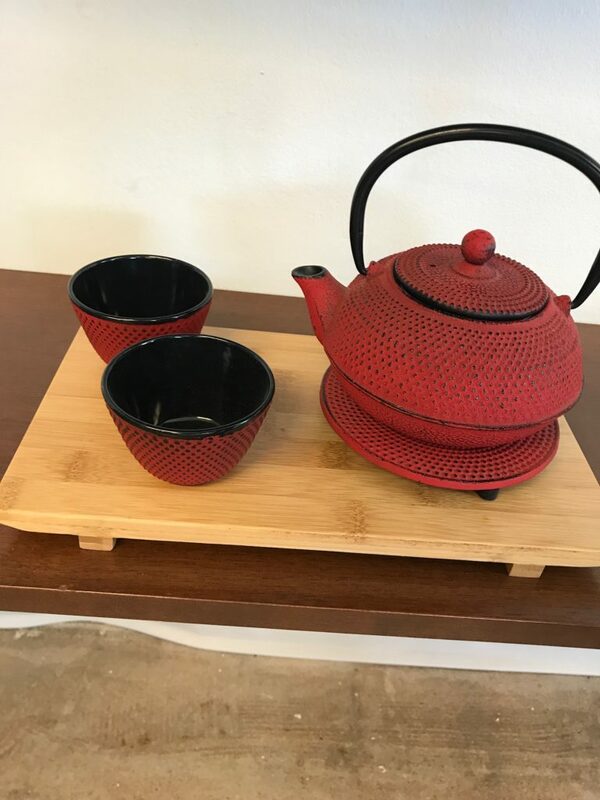 Once a month, community members are invited to sign up for a course on something tea related, be it How to Pair Chocolate with Tea, Growing your Own Tea Garden, or Matching Tea with Your Yoga Practice. 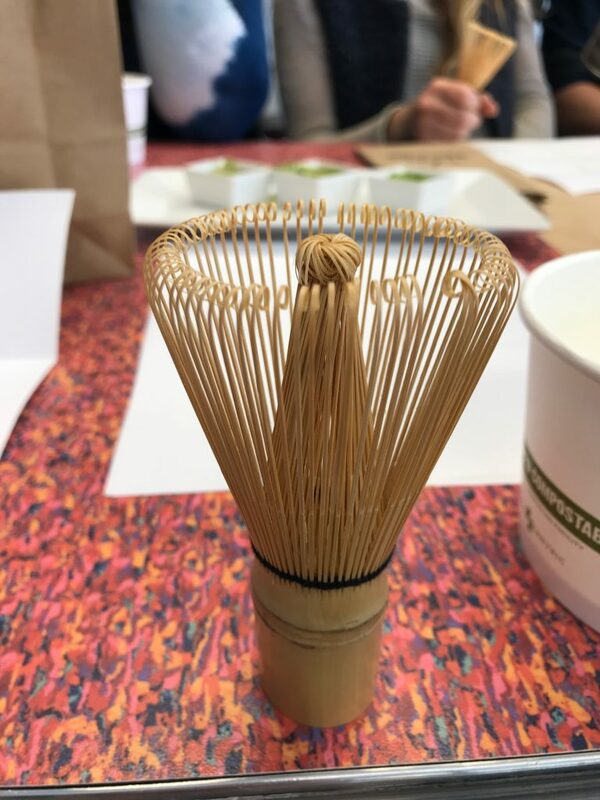 A few weeks ago on a post-holiday Saturday, the monthly class met in its trendy Denver Highlands location to go over the basics of Matcha. The class filled up quickly and a full table of eager learners, with hipsters to the nerdy middle-aged (me) taking in the information presented by the affable Aly, the manager. We learned that Matcha is a shade-grown green tea that is full of minerals and health-positive elements. At our table, Aly set a plate divided into three sections. In it, we had the three main styles of Matcha: light, culinary, and ceremonial. The tea resembled powder, and the three styles ranged in their intensity of green. The most common used in lattes and sweet drinks is the light version, but the culinary is generally available and quality tea shops or higher-end grocery stores. The ceremonial is the highest grade with a finer grind and a darker and heavier flavor, and is harder to come by, generally needing to be specially ordered. We passed the plate around and did a little bit of finger painting with the different grades to examine the level of green, which translated to the intensity of the tea. We then began our instruction in the traditional way to make Matcha: with a bamboo whisk. We all were presented with one at the start of the class. Before bamboo whisks are used they are very tightly furled, so we soaked them in near-boiling water for a few minutes in our flat-bottomed bowls. Flat-bottom bowls are considered optimal for Matcha, but Aly pointed out that she has prepared this tea in a cereal bowl at home, so I interpreted that as just do the best that you can with what you have. In this age of fancy gizmos and purists, I think that is wise advice. Aly again noted that “the official word on the street” is that you should only use your bamboo Matcha whisk three times before discarding it. She clarified that that is not their position at the store because it is just not feasible. Basically, use your whisk until it falls apart. Stick with bamboo, however, because those are the best for the flat-bottomed bowls, and for de-clumping the tea. After whisking our teaspoon of culinary-grade Matcha to make traditional tea, we learned about the tea’s versatility with some non-traditional ways to use it. Aly’s favorite was the Matcha-infused smoothie, something she hoped would inspire a generation of “Tea-Bros.” Putting this in a blender bottle with other shake ingredients was easy-peasy, and just added to the health benefits of the drink. We also made a delicious Matcha-miso salad dressing with sesame oil and herbs. Again, it was incredibly easy, taking only minutes to mix the ingredients. Finally, we made a Matcha face mask, combining the tea with olive oil and honey. This apparently has enough caffeine in it to help remove dark circles under the eyes – always a welcome remedy. The Teatulia-Tea Bar has classes listed on its website for anyone interested. They come highly recommended, and tea purchases are discounted with the class. Teatuila is both the brand and the farmer. Linda continued, “We have our own garden. We’re totally vertically integrated. Which means the tea is fresh, which means total transparency and total accountability.” They’ve taken the leap beyond sustainability.